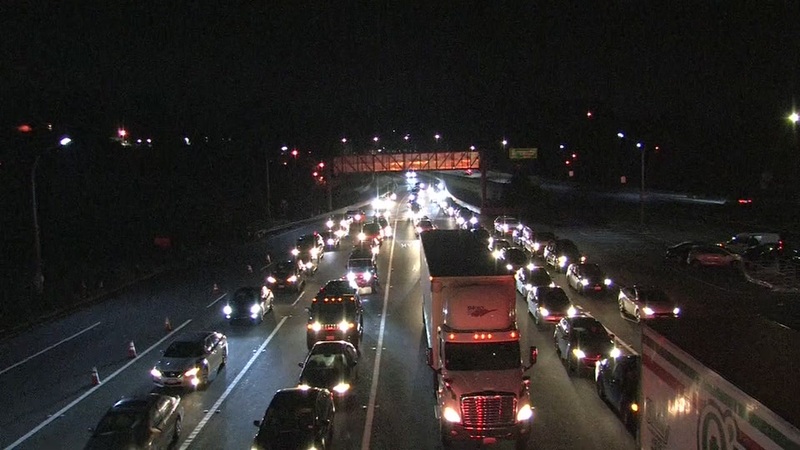 SAN RAFAEL, Calif. (KGO) -- Debris from a pothole, not falling concrete, struck the windshield of a car that was driving on the Richmond-San Rafael Bridge on Friday night, according to Caltrans. A woman was driving eastbound on the bridge just west of the county lines when the debris kicked up and hit her windshield, Caltrans said. This is the third incident involving loose concrete on the bridge this year. In February chunks of concrete fell from the upper deck to the lower deck, damaging a passing car. Weeks later, more concrete fell from the upper deck. Leading to more lane closures and a lengthy repair job to replace 60 bridge joints. See more stories on Richmond-San Rafael Bridge concrete closures.